As you read on with this post, you will learn to know the various cause of acne and the best way to treat them and that is why i titled this post to be "causes of acne and their treatments" which was written according to acne treatments site. 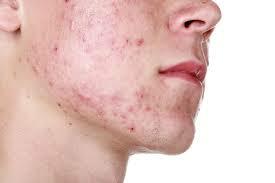 The cause of acne is hard to pinpoint because acne is not caused by just one factor. It occurs in different people for many different reasons. This makes finding an effective acne treatment tricky for a lot of people. Once you find out what the root problem or cause of your particular type of acne is, finding an effective acne treatment will be easier for you. Factors like diet, stress, heredity, and dirt are believed to be causes of acne, but this is actually incorrect. Acne vulgaris is the most common type of acne, and it normally occurs when puberty begins in a person. The exact cause of this type of acne is unknown, but there are factors that are believed to be directly related. At puberty, increased hormonal activity and high levels of androgens, cause the sebaceous glands or oil glands to overproduce sebum, or oil. This causes the cells that are close to the openings of the oil glands to get blocked or clogged. Bacteria in the skin feast on the oil, and this causes the skin to be inflamed. When the inflammation is near the surface, that's when pimples, blackheads, and whiteheads appear. This type of acne usually goes away on its own. Acne excoriee is a type of acne that is usually found in young girls. It is caused when a pimple on the skin is damaged due to scratching. When scratching persists, the pimple is unable to heal, leaving a scar. Another type of acne is acne cosmetica, which is due to prolonged use of topical make-up products and usually consists of small bumps and inflammation on the forehead, chin, and cheeks. Acne treatment of this type of acne would just be to figure out which cosmetic products is the cause of the acne and discontinue the use of it. Cystic acne is a type of acne caused by cysts being formed deep under the skin instead of near the surface. When this happens, the infect matter cannot be released. For acne treatment of this type of the condition, a dermatologist should be seen as soon as possible. Occupational acne occurs when the skin is exposed to grease and oils very frequently. This condition is suffered mostly by auto mechanics. Another type of acne is suffered because of a climate change. When a person moves from a cool climate to a warm climate, the skin has to produce more sweat and oil all of a sudden to keep the body cool. This causes the pores to clog which can cause breakout. A helpful acne treatment for this type of the condition would just be to switch your facial cleanser and moisturizer to oil-free products. As you can see, acne does not come from one factor, so acne treatment will differ depending on what type of acne that you have. So the first step in finding an effective acne treatment would be to understand what is causing your acne. Acne treatment may be as simple as changing what you are exposing your skin to, or changing your skin cleanser to one without oil. It is always a good idea to check with your dermatologist before trying any system to get rid of your acne. Thanks for reading.